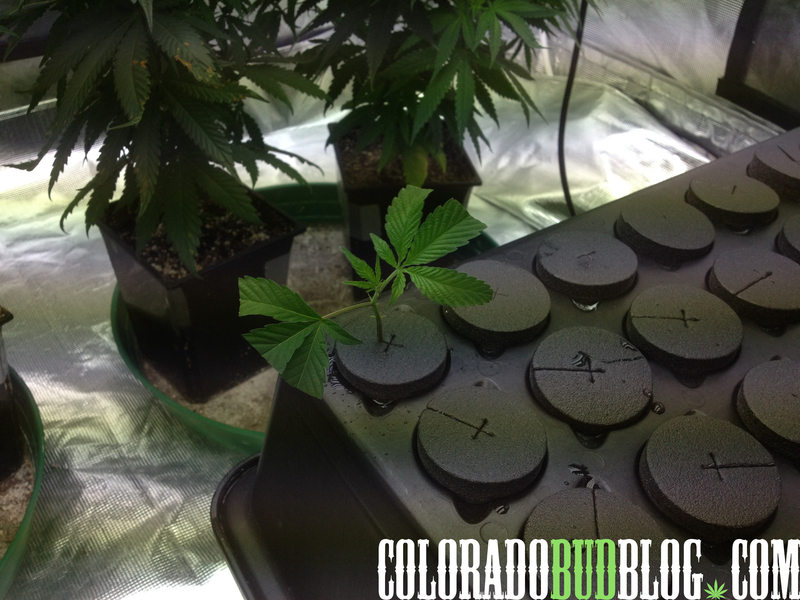 Today I am Offering a simple tutorial using an EZcloner to Marijuana Growers. 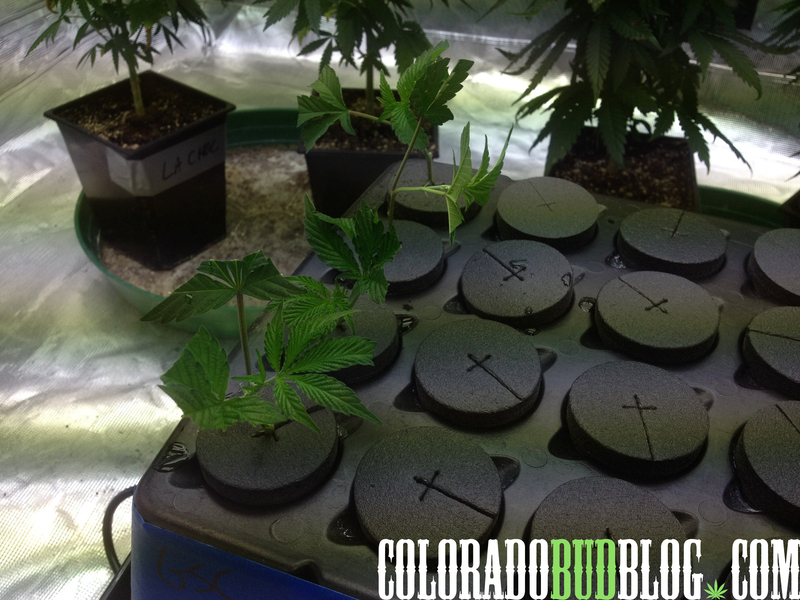 Make sure you are aware and understand your state laws regarding Growing Cannabis. 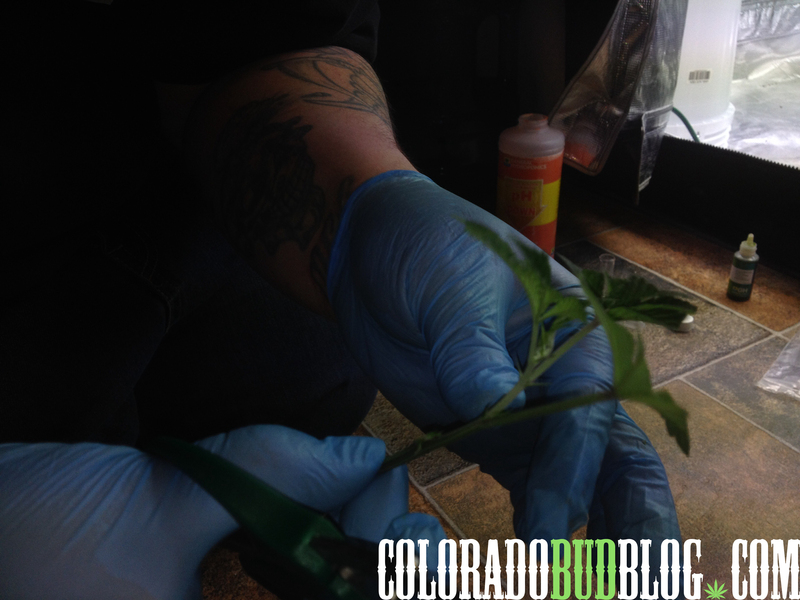 It is Federally illegal to grow Cannabis, However, In Colorado the State recognizes the need for cannabis for our people, and allows no more than 6 total plants grown ( 3 in vegetative stage, 3 in Flowering) per individual that is at least 21 years of age or older at a residence. Now, In a total household of multiple 21+ year adults, it will be noted that no more than 12 plants can be grown within that residence, no matter how many adults may reside there. Again, other states recognize Cannabis as a medicine, and have allowed for their state citizens to grow as well. 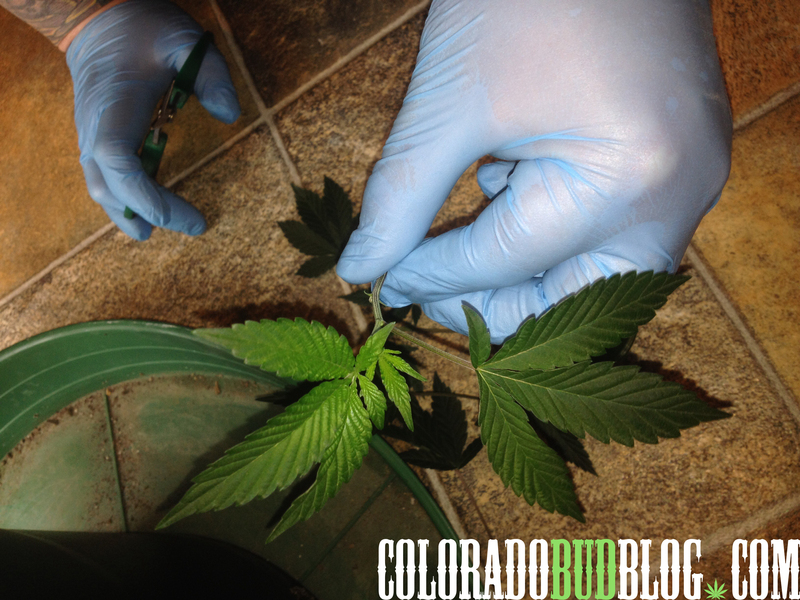 Make sure that you Check with your state laws about plant counts and laws before growing. 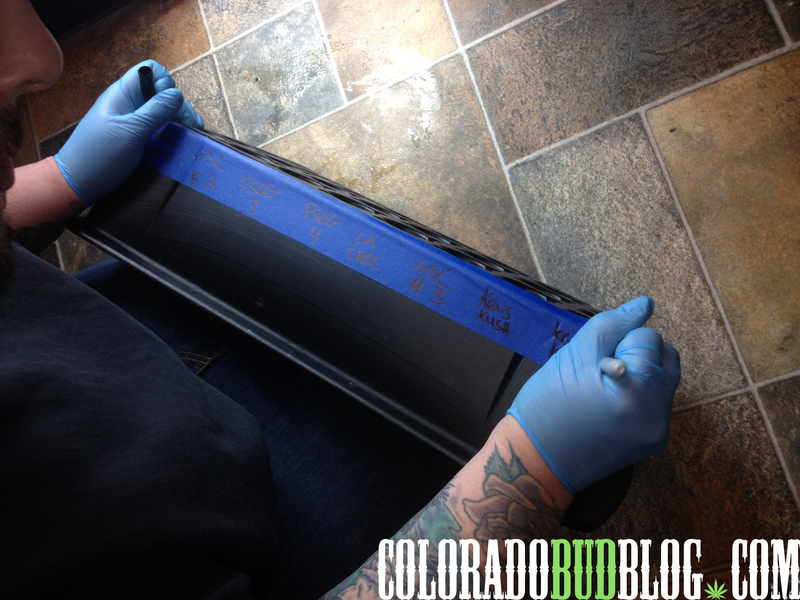 Before you begin, be sure to sanitize all of your tools in alcohol, and wear gloves. To sanitize the 32 unit EzCloner, I added a cup of bleach to 5 gallons of water and ran the pump system for 30 minutes, allowing the entire system to be saturated. I then poured out the bleach mixture and filled the reservoir up with fresh water and ran for 30 minutes. I poured the fresh water out, and continued to rinse for a minimum of 3 more empty/fillings cycles of only Fresh water. 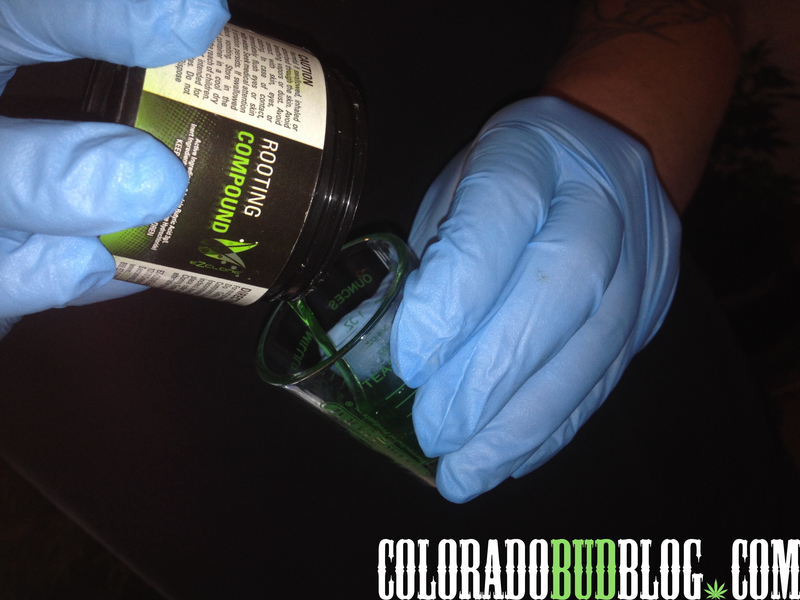 Fill up a shot glass 1/3 of the way with your choice of any rooting compound, and set it aside. 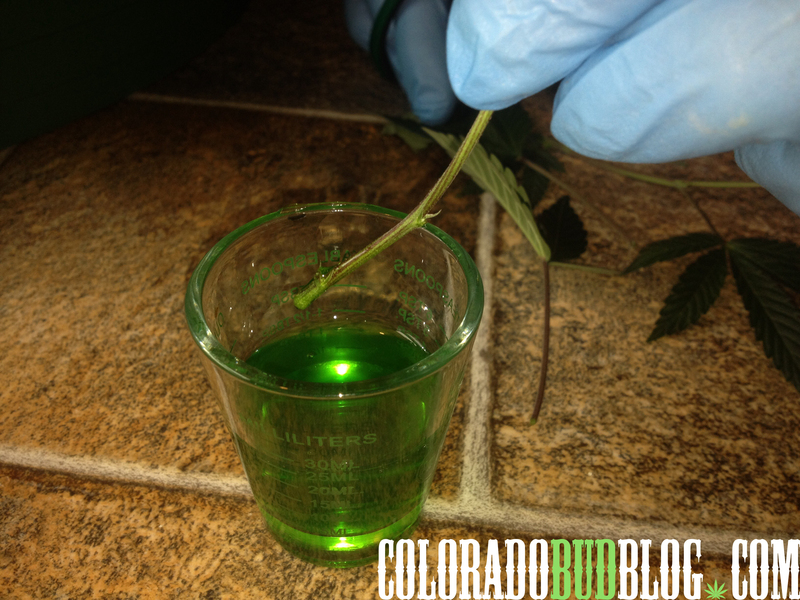 For this tutorial, I am using the Rooting compound provided by EzCloner. 1. 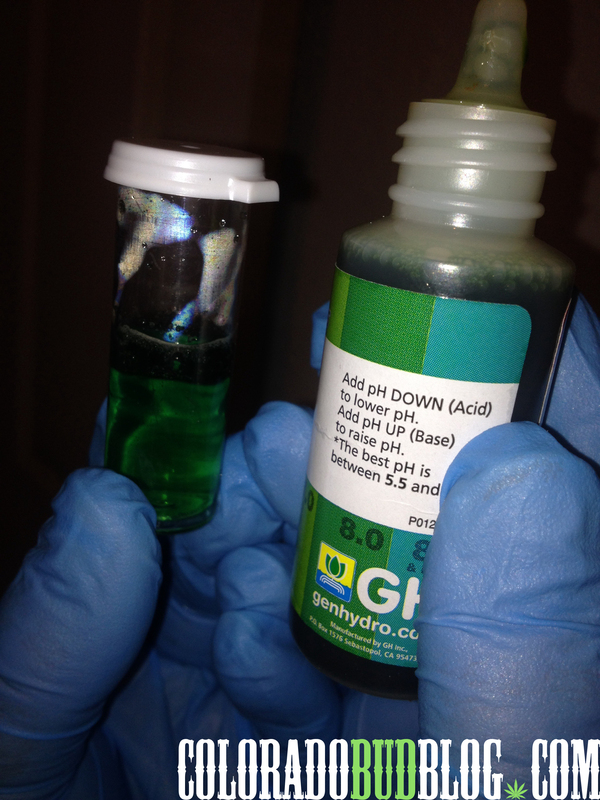 Fill The Unit with water according to size, or just above the pump, and check the PH of the water, There are numerous PH pens on the market, and also drops that can help with reading the PH of your water. The desired temperature of water is 70-85 degreesF. though for this cycle it was running about 90f. 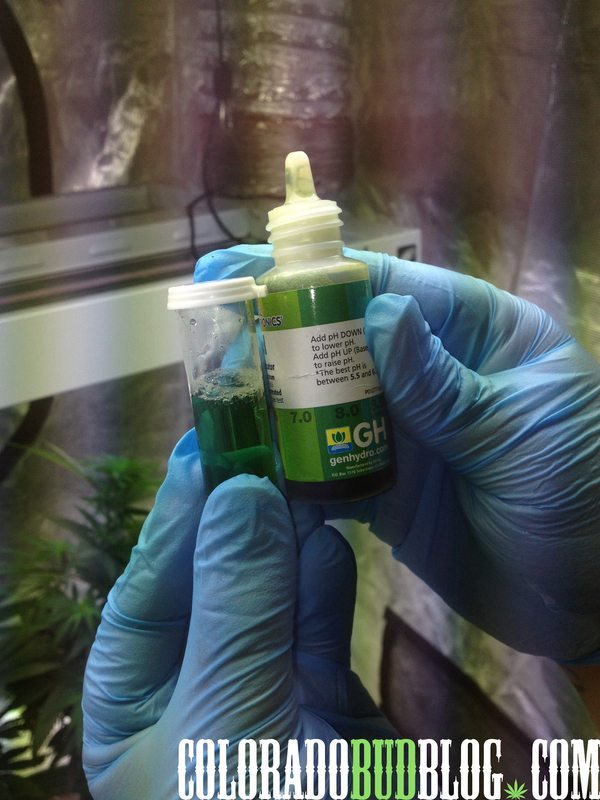 Note – The reason the unit was running high, is because of the larger pump that had to be used for my Ezcloner system. The 32 site EzClonerunit provided a pump that wasn’t stable and would fall over, resulting in many lost clones and a sad Chewberto. They rectified the Known Issue and sent a larger pump, however it sits rather high and generates more heat. So if you purchased a 32 site new system and are having pump stability issues, contact Ezcloner for further instructions. 2. 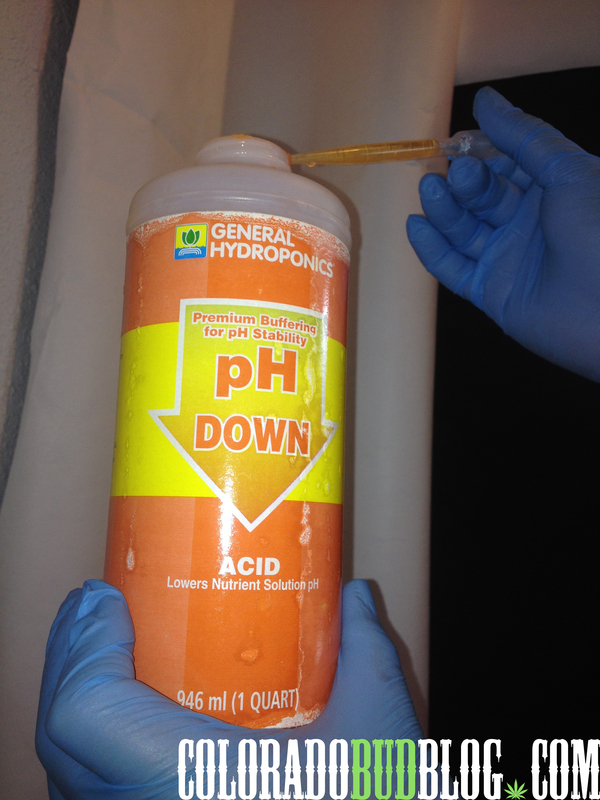 Slowly Add a PH Up , or PH Down product of your choice while reading the fluctuation in numbers to reach the desired pH of 5.8. Again, you can use pH drops, or a Pen to do this. 3. 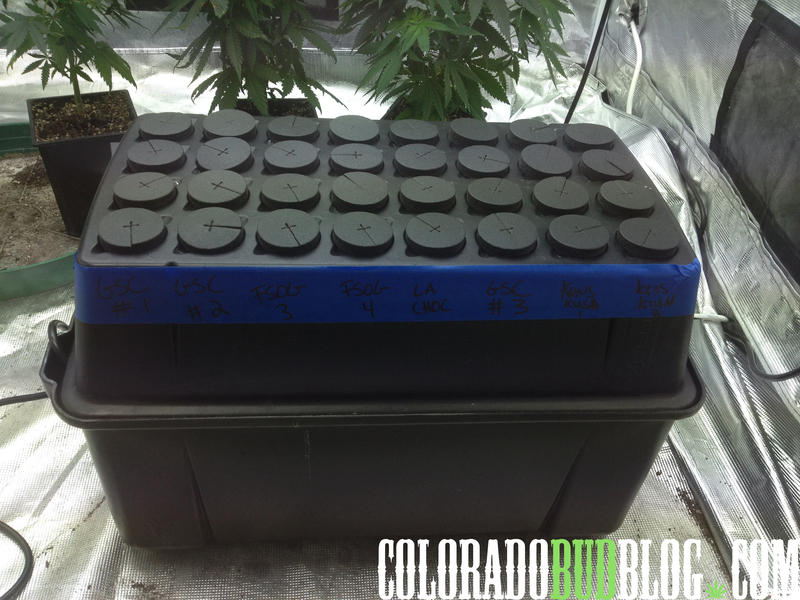 Label your EzCloner with the desired strain name across the top, and insert the neoprene pucks into each hole in the top of the unit. 4. Next, I will take a cutting as close and flush to the main stock as possible, from the lowest branch if possible. 5. I immediately dunk the cutting into the shot glass full of rooting compound to seal the cut, preventing any embolisms or (air bubbles) from murdering the poor cutting before it has a chance to root. 6. I will start cleaning up the cutting from the base to the top, until I am left with 1-2 sets of leaves. 7. 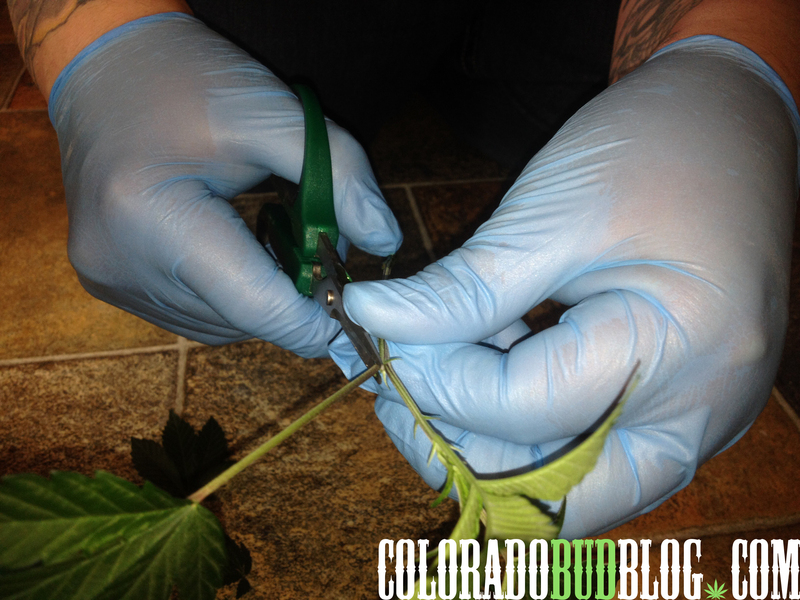 I will then cut the blades of the final sets of leaves directly in half. The reason we do this is to divert the plants growth focal energy into the rooting system, rather than take in light energy from the leaves and create more foliage. 8. Next, I make my final cut to size at about 5-6 inches, I do this with a diagonal cut. 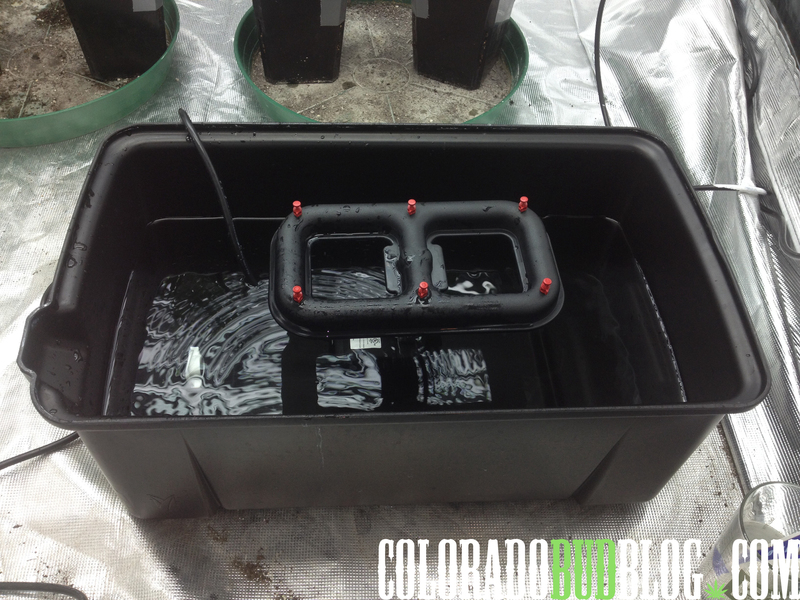 I re-dunk the cutting into the rooting compound along the base about 1 1/2 deep, and then place into a neoprene insert. 9. 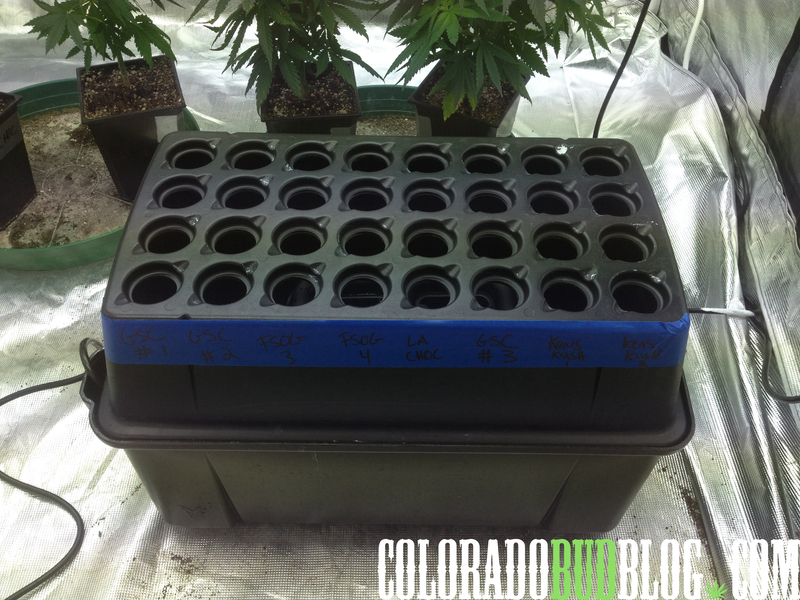 I then put the cutting into the EzCloner Lid, and repeat this step with each strain, making sure to keep everything in order, and labeled correctly. 10. Plug in the Ezcloner and let it run for a few hours. 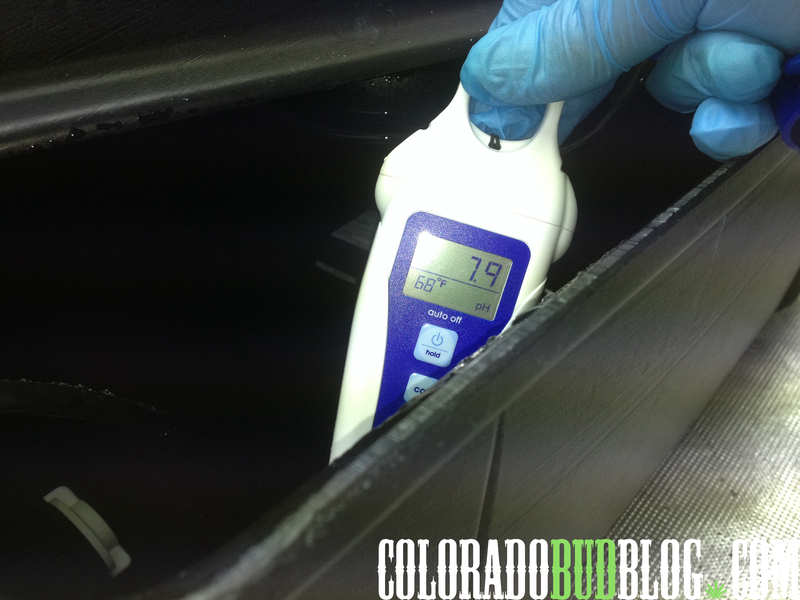 Come back and check the ph of the water, and adjust accordingly until you are stabilized at a Ph of around 5.8. 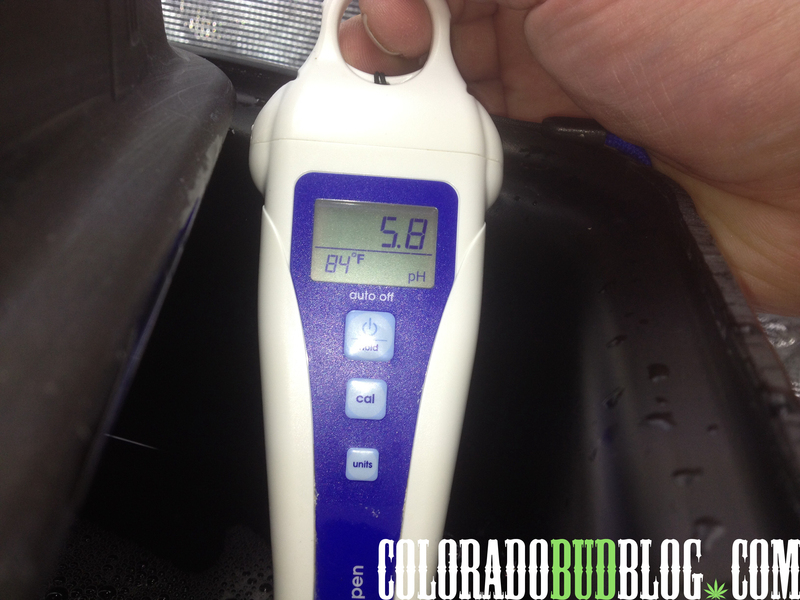 The Ph of the water tends to rise after some time aerating with the pump. You can leave the system running 24 hours a day, or put on a recycling timer for any variety of times like 3 minutes on 2 minutes off, or 5 minutes on 2 minutes off, or one minute off ETC, so long as the base of the cutting doesn’t dry up, and or start to dry up. 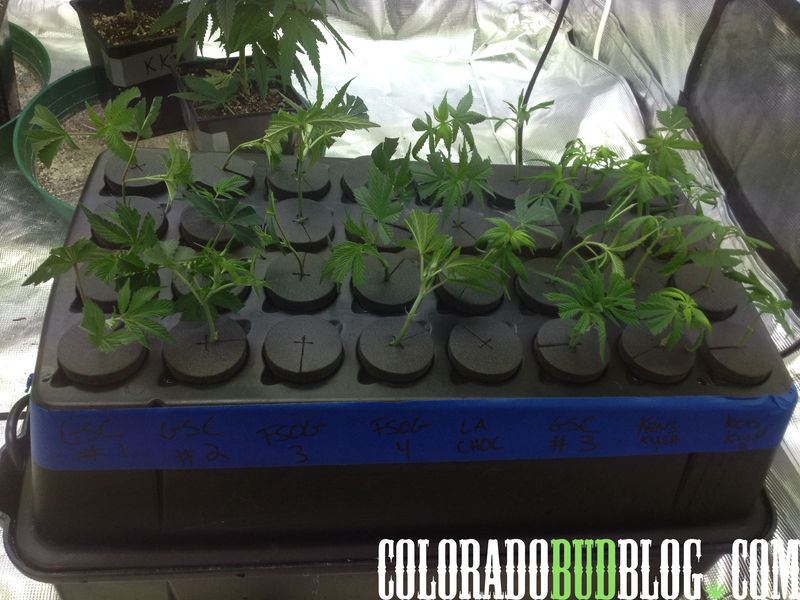 Keep the system on until you have sufficient roots to transplant the clones. 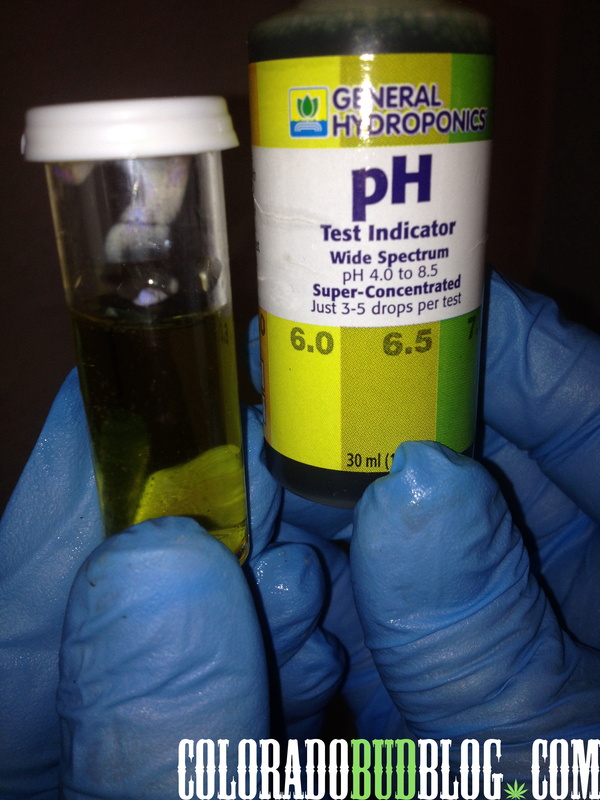 Check your system daily for PH swings and roots. 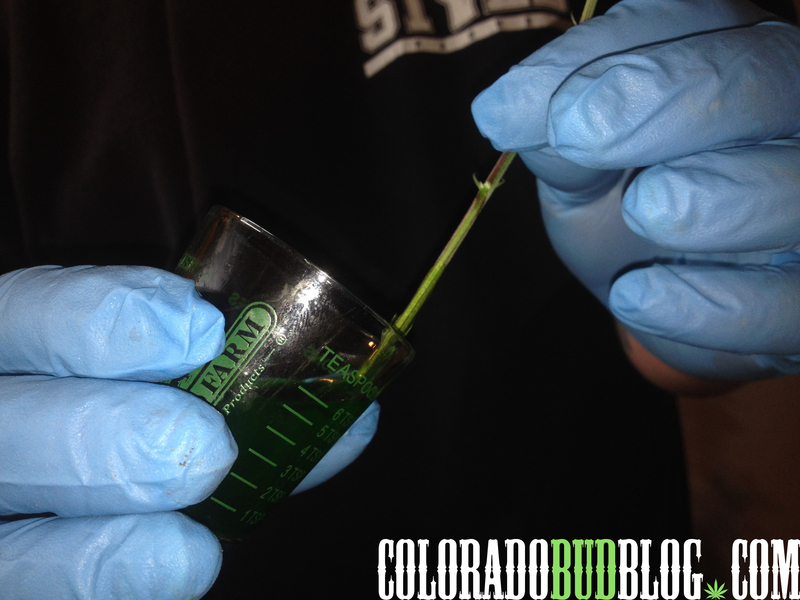 You should see roots and scabbing around 7-21 days, sometimes sooner depending upon conditions and strain. 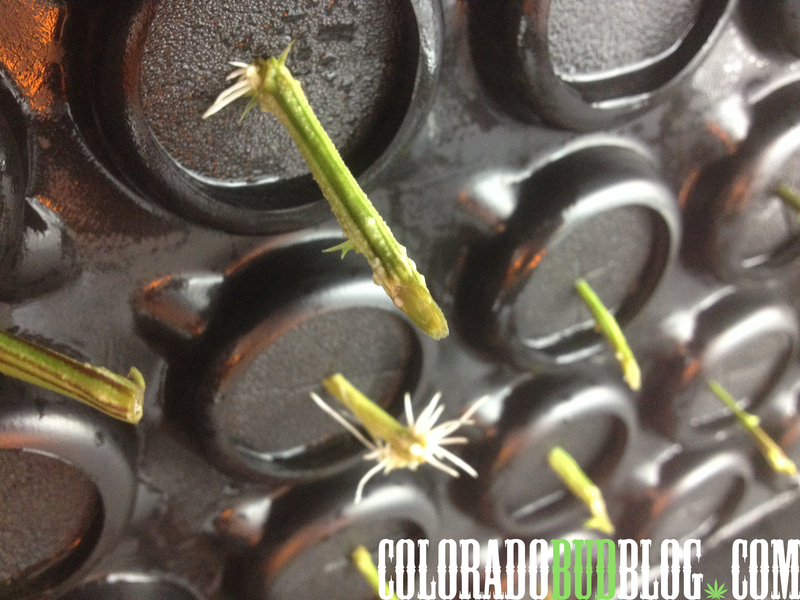 You can see how some plants will root faster than others. This pic is taken at 6 days. 11. After you have roots longer than what you see in the picture above, about 1-2 inches, you can select your best looking specimens from each strain and disregard the others. 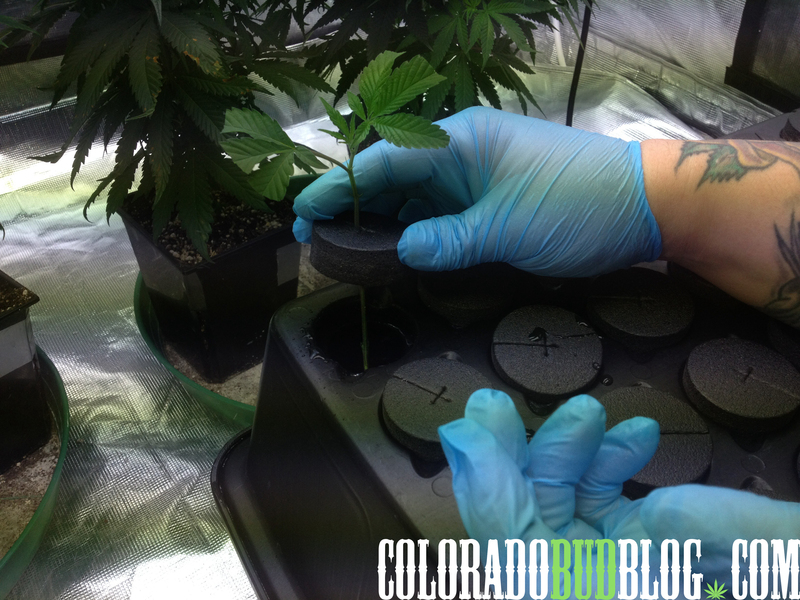 You can now transplant the clone into any medium that you prefer and grow on. 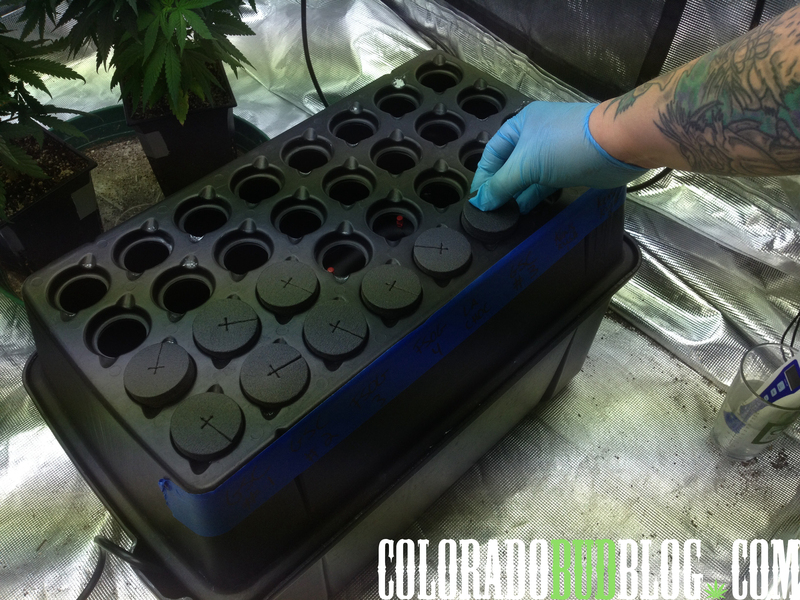 Remember, we want to keep it legal, and the law states that we are allowed 3 plants in a vegetative stage, which means that once these are transplanted into a container, they are likely to be considered in a Vegetative stage. We are to set an example for other states to come, so it is important not to ruin it for others who need this plant for medicine. Stay Safe! Stay Legal! Stay High!